Candidates should have (or soon obtain) a master`s degree in engineering or a similar degree with an equivalent academic level. Candidates may apply prior to ob¬tai¬ning their master`s degree, but cannot begin the PhD education before having received the grade. To apply for these scholarships candidates must have an agreement with a supervisor at DTU Nanotech about a specified project. Therefore, for a candidate to be considered for thescholarships, endorsement and project description must be enclosed. See under "Application". 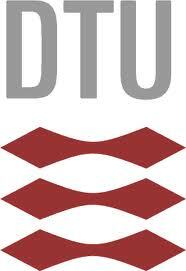 The scholarships are subject to academic approval and the candi¬dates will be enrolled in one of the PhD programmes at DTU. For information about the general requirements for enrolment and the general planning of thescholarship studies, please see the DTU PhD Guide. The salary and appoint¬¬ment terms are consistent with the current rules for PhD students at DTU. The period of employment is 3 years. DTU needs diver¬sity and supports equal opportunities irrespective of gender, age, and ethnic back¬ground. Further information is available at PhD at the Department of Micro- and Nanotechnology or by contacting senior consultant Anne Line Mikkelsen, phone +45 45255858, e-mail [email protected]. DTU Nanotech - the Department of Micro- and Nanotechnology - is situated in the northern part of Copenhagen. DTU Nanotech is a centre of excellence in micro- and nanotechnology exploiting sciences across the traditional boundaries of technology, thereby enabling innovative solutions for the benefit of society. DTU Nanotech has approx. 200 people on its staff. With 40 % non-Danes, the department constitutes an international environment. Demikianlah informasi mengenai PhD Scholarships in Nanotechnology at Technical University of Denmark (DTU) semoga berguna bagi anda.